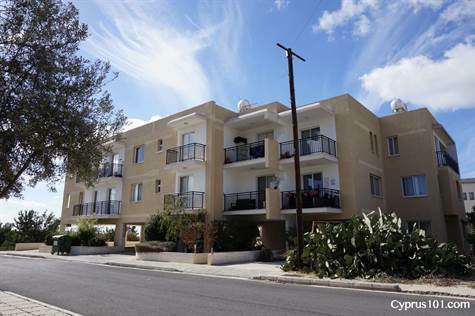 Konia Apartment, Paphos – This modern 3 bedroom, 2 bathroom, top floor Konia apartment is located in a quiet residential cul-de-sac, within easy walking distance to local village amenities. The accommodation features a spacious open plan living room with lounge, dining area and fully fitted kitchen. Sliding patio doors in the lounge provide easy access to a good size balcony – an ideal place for outdoor dining and enjoying the lovely sea views.